Home Novorossia en Economics What A Joke, With All The Bombing Of Civilian Areas By The Nazi Ukraine Junta, The Kiev Regime Stocks Up On Russian Coal, Most Probably Donbass Coal ! Kiev’s only solution has been to get its coal from Russia. In some cases this might be the same Donbass coal bought and resold by Russian companies at a margin. “1.4 mln tonnes of coal imported abroad were shipped to Ukrainian thermal power plants and combined heat and power plants in January – June. Supplies from Russia account for about 80% of total volume – 1.09 mln tonnes,” the ministry said. 145,100 tonnes of coal were supplied from the Republic of South Africa and 118,900 tonnes were delivered from Poland in the first half of this year, the ministry said. Starting in January a blockade on purchases of coal from rebel-held (Freedom Fighters) Donbass has been enforced, first by rogue far-right nationalists, and after by the government itself. It so happens that was Ukraine’s only domestic source of the high grade anthracite coal needed to run its thermal power plants. 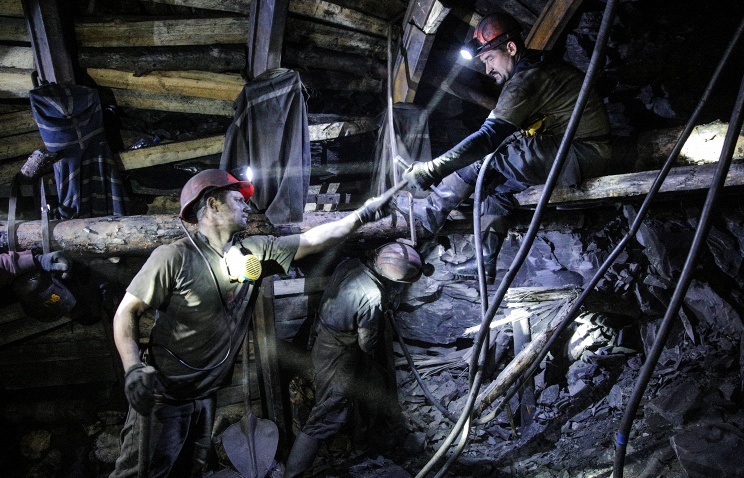 Imports from South Africa and the US are proving way too expensive for Ukraine to secure in any amount, and Poland just doesn’t have enough of this type of coal to satisfy Ukraine’s needs. Kiev’s only solution has been to get its coal from Russia. In some cases this might be the same Donbass coal bought and resold by Russian companies at a margin. Thus having declined purchases from Russian-backed rebels on political grounds, Kiev is now purchasing coal directly from their Russian backers instead.